While the fight for gender equality at the workplace is going on in many countries, work division in terms of household chores is seldom discussed. However, when the chairman of the Mahindra group Anand Mahindra was put in charge of babysitting his one-year-old grandson, he acknowledged the difficulties faced by women and took to social media to salute women and initiated a conversation on gender equality. Taking to Twitter, Mahindra posted an image that featured formally dressed men and women on a race track. 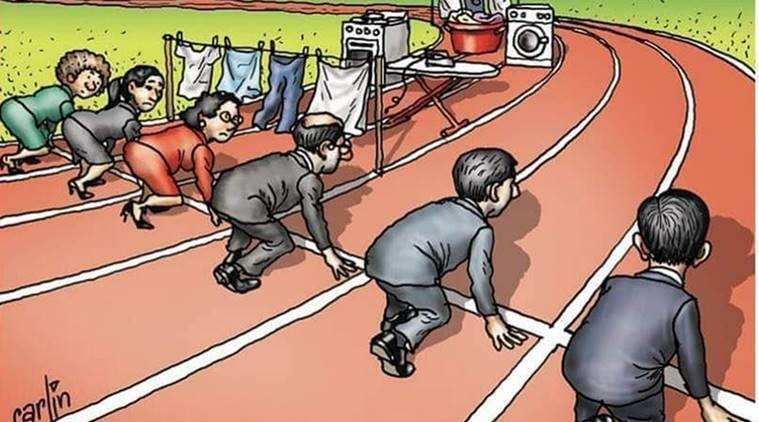 While for the men the track was clear, the path was filled with several domestic obstacles for women. “I’ve been helping to baby-sit my year old grandson this past week & it’s brought home to me the stark reality of this image. I salute every working woman & acknowledge that their successes have required a much greater amount of effort than their male counterparts,” Mahindra captioned the image he shared.